WARDROBE LED LIGHT BAR We can produce DRESS-UP TOP in different lengths. Extraflat courtesy lights suitable for all uses. Epoxy resin + technopolymer coated case. 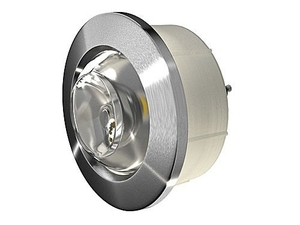 LED lamps are used for interior and exterior lighting, and can be fixed or portable. They are popular because of their low energy consumption and heat output. LEDs are found in spotlights, wall, ceiling and other on-board illumination. They also are used as underwater boat and dock spotlights. These light-emitting diodes consume relatively little energy. However, several LEDs must be combined to create sufficiently powerful lighting. Since the hue of LED illumination varies with constituent materials, it is possible to have colored lights without using a filter. Color and, especially power will determine choice. Verify that exterior installations are completely watertight to avoid short circuits.